Black Pond Studio hosts workshops in painting, drawing and other disciplines in a newly constructed solar-powered barn; the space has abundant natural and studio light. The barn/studio sits on 40 acres of meadow, forest and wetlands in rural southeastern Massachusetts, about a 20-minute drive from Providence, Rhode Island, and about 60 minutes from Boston, Massachusetts. A spring-fed pond is steps from the barn. Contact us at blackpondstudio@gmail.com for the address. OFFERINGS at Black Pond include workshops that meet for one week, as well as weekend, weekly and monthly sessions. We also offer one-day uninstructed model sessions with one pose for six hours. TOPICS include drawing and painting from the model, still life, master copies, landscape, color workshops, and more. CATHERINE KEHOE and NANCY McCARTHY host and lead workshops; guest artists with diverse backgrounds and approaches are also invited to teach. SUBSCRIBE to the mailing list to be notified of workshops and other events. ​A car is necessary in this rural area. BY CAR: GPS is the best way to navigate here. Email blackpondstudio@gmail.com for the address. BY AIR: Green Airport in Providence is the closest airport. • Nearby bed and breakfast establishments range from simple to luxury. Contact us for suggestions. • Providence is about a 20 minute drive from Black Pond for a wider range of accommodations. • airbnb offers listings in the area. • There are two simple guest rooms (that share a bathroom) on the property. Each bedroom can accommodate one or two people. Self-serve breakfast and lunch are included in the price of room rental. 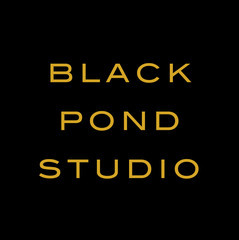 Contact us at blackpondstudio@gmail.com for more information. • Buffet lunch is provided for all participants. • A full refund is made when a participant registers for a workshop that is canceled or full. • For workshops of two days or more: Tuition will be refunded if Black Pond Studio is notified of a withdrawal more than 30 days prior to the start of class. If your registration is cancelled 30 or fewer days before the start of your class, your payment will not be refunded unless your space can be filled by another registrant. • For one-day model sessions, a refund will be made for participant cancellations if notice is given more than seven days before the start of the session. If less than seven days of notice is given, your payment will be refunded if your space can be filled by another registrant.